Seaquist J.W., Johansson E.L. (2019) Toolbox: Operationalising Telecoupling with Network Analysis. In: Friis C., Nielsen J. (eds) Telecoupling. Palgrave Studies in Natural Resource Management. Palgrave Macmillan, Cham. Persson, J., Johansson, E., & Olsson, L. (2018). Harnessing local knowledge for scientific knowledge production: challenges and pitfalls within evidence-based sustainability studies. Ecology and Society, 23(4). Johansson, E. & E. Isgren (2017). 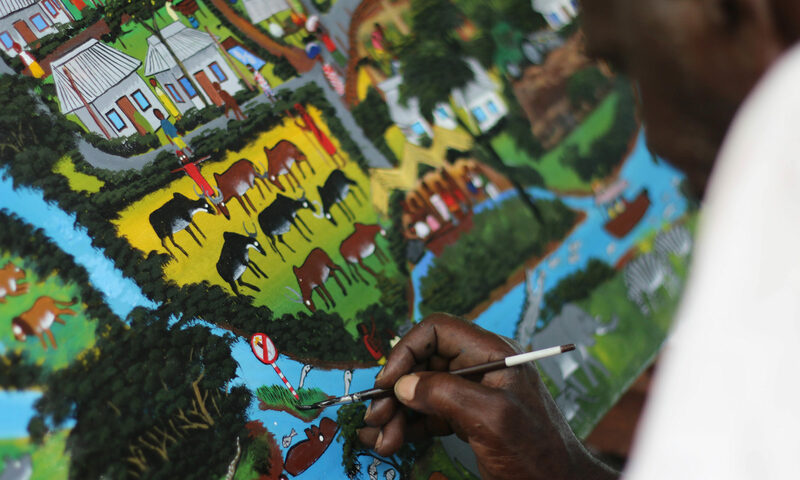 “Local perceptions of land-use change: using participatory art to reveal direct and indirect socioenvironmental effects of land acquisitions in Kilombero Valley, Tanzania.” Ecology and Society, 22(1). Johansson, E. L., Fader, M., Seaquist, J. W., & K. Nicholas (2016). “Green and blue water demand from large-scale land acquisitions in Africa.” Proceedings of the National Academy of Sciences, 201524741. Seaquist, J., Johansson E., & K. Nicholas (2014). “Architecture of the global land acquisition system: applying the tools of network science to identify key vulnerabilities.” Environmental Research Letters, 9:114006.